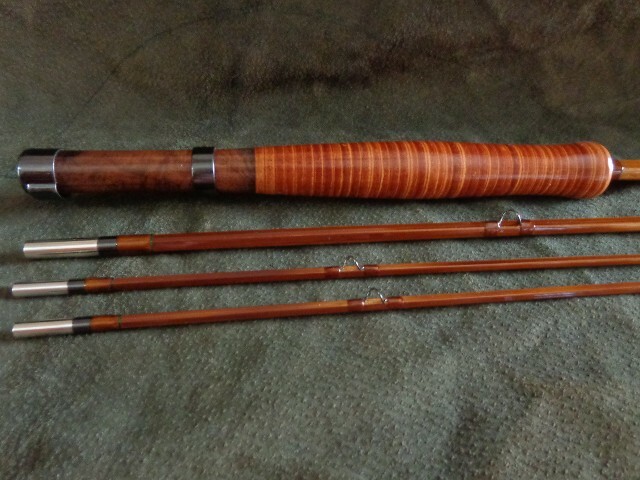 For a considerable time I've toyed with the idea of putting stacked leather handles on fly rods as an alternative to the standard cork and wood arrangement. 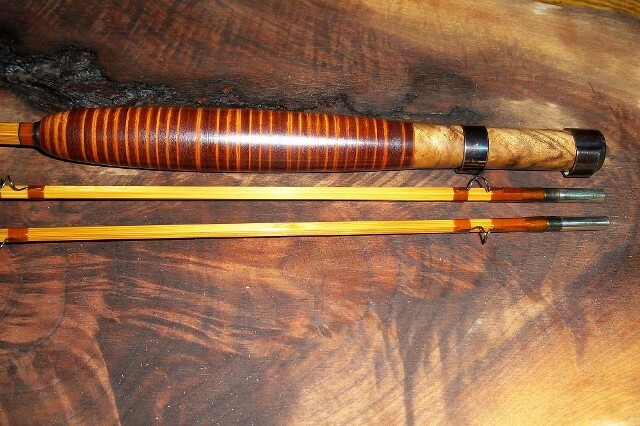 Stacked leather handles have long been used as a handle material on fixed blade knives as well as hatchets, and has the reputation as a very durable material, as evidenced by many knives that have stood the test of time. 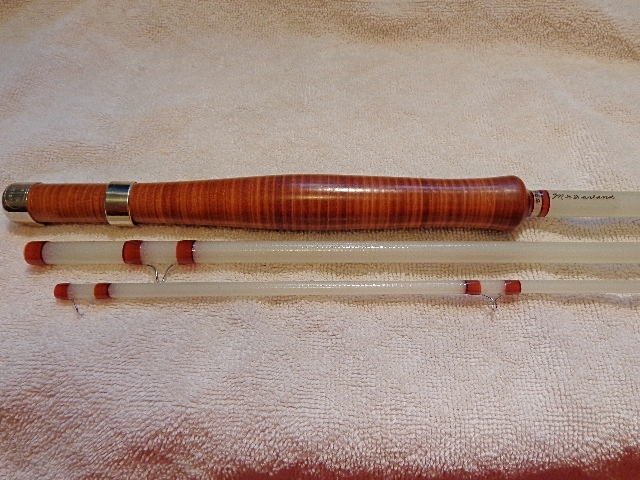 I've owned a number of Marbles knives that were well over 100 years old and their handles still looked new, in spite of the fact that they didn't even a have a finish applied when new. 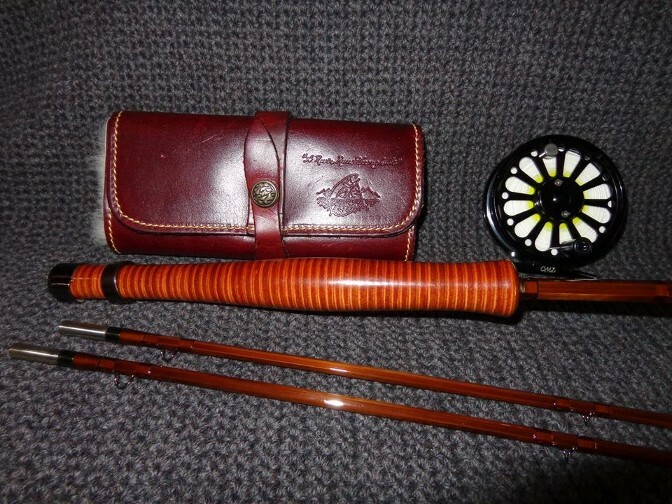 So why not on a fly rod? 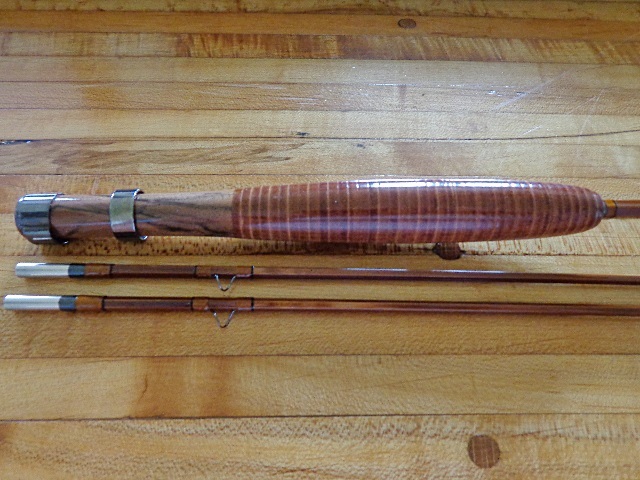 A 100 year old fly rod with a cork handle will be in dire need of a replacement by then if it was used regularly over that span, but a rod made with a leather grip will probably be just hitting its stride by then, especially when a fine finish was applied when new. 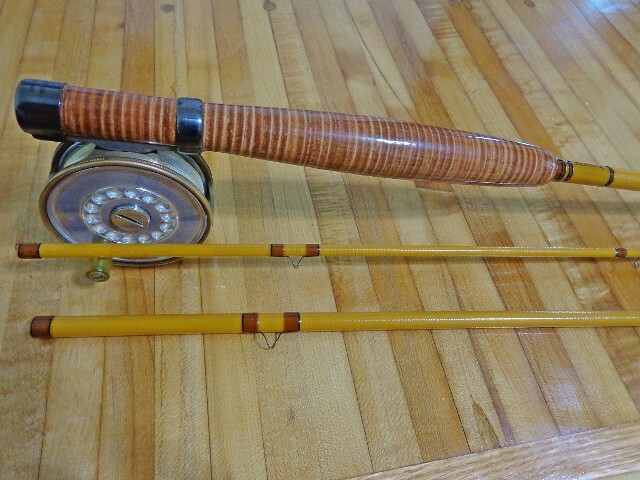 It has the added benefit of being touched up or refinished easily with a rubbed in coat of Tru-Oil, should it start to show any sign of wear, but that would take a long time to get to that point. 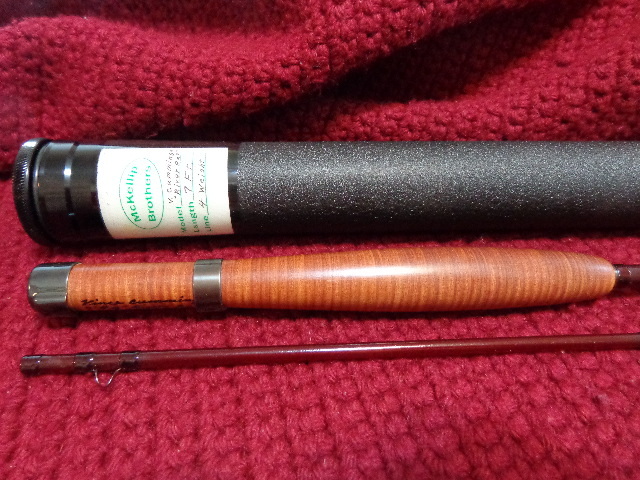 It is heavier than an equally sized cork and wood arrangement by 1 1/2 ounces, but with that extra weight in your hand while casting it's hardly noticeable. 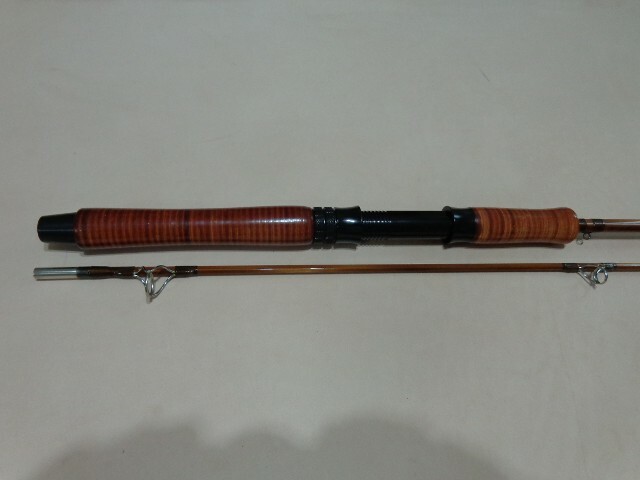 It feels great in the hand, is not slippery at all and it looks great on a fly rod. 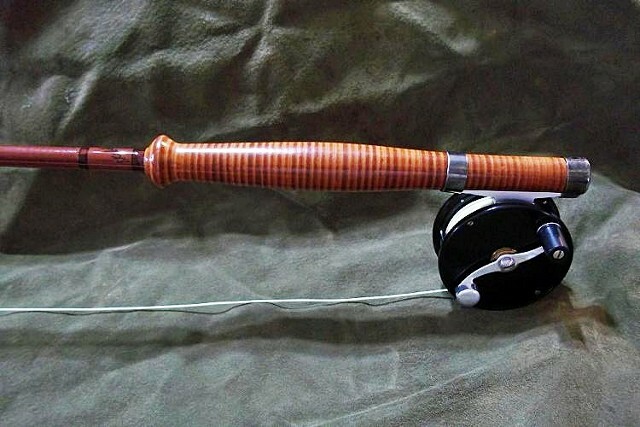 You may want to consider this alternative when ordering your next rod. 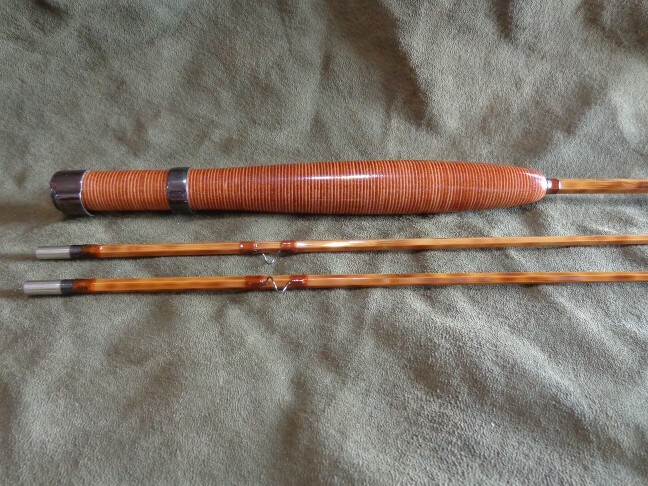 I believe that you'll be surprised at how nice it is on a bamboo or fiberglass rod.